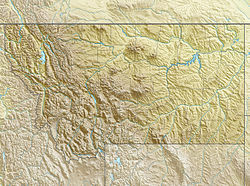 Cabinet Mountains Wilderness, Lincoln / Sanders counties, Montana, U.S.
^ a b "America's 57 - the Ultras". Peaklist.org. Retrieved 2013-02-02. ^ "Snowshoe Peak" Summitpost.org. Retrieved 2013-02-02. ^ "Northeast Ridge" Summitpost.org. Retrieved 2013-02-02. This page was last edited on 29 July 2017, at 02:06 (UTC).